Why the change? The rationale is unclear, but critics worry about escalating editorial pressure from the prime minister’s office. And they wonder: What is happening to freedom of the press in Israel? For Margalit, an Israeli writer who detailed the headline debacle in a recent op-ed, such decisions point to an erosion of editorial freedom — all stemming from Prime Minister Benjamin Netanyahu. She describes a leader who paints himself as a victim of liberal media bias, even as he strengthens his hold on Israeli outlets’ independence. 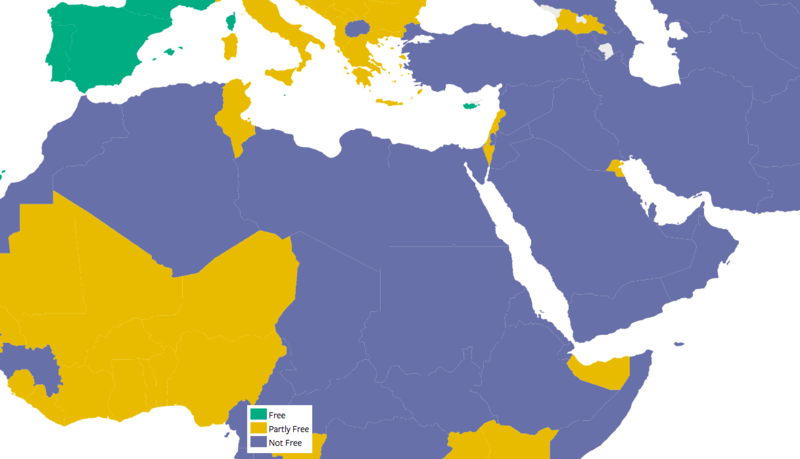 Earlier this year, Freedom House, an American advocacy group, demoted Israel from “free” to “partly free” in its annual freedom of the press rankings. Sarah Repucci, who oversees the freedom of the press project, says that the country’s problems aren’t new, but they’re getting worse. Now, Yisrael Hayom captures 40 percent of the market, according to Freedom House’s report. And as the newspaper’s popularity grows, other outlets struggle. Freedom House is also worried about the proliferation of paid content, which often goes unlabeled in Israeli media. Some of that content comes from government ministries and state agencies, which “pay millions of shekels to websites, newspapers, and commercial television channels to get their messages out,” according to Freedom House’s report. From a historical standpoint, Netanyahu’s approach to the press is undoubtedly unique. For over a year, he has served as Israel’s communications minister himself — in addition to his duties as prime minister — an unusual decision that critics argue gives him too much regulatory control over the market. Still, Freedom House didn’t consider Netanyahu’s dual roles in its rankings. While the group is concerned about Netanyahu’s decision to assume the role of communications minister, it determined that — so far — the prime minister hasn’t abused his authority.